Copy, delete, cut, paste, etc. These are tasks that are repeated hundreds of times when we use a computer frequently. The result of this is that the information on our hard drive ends up being stored in a chaotic and unorganized way. 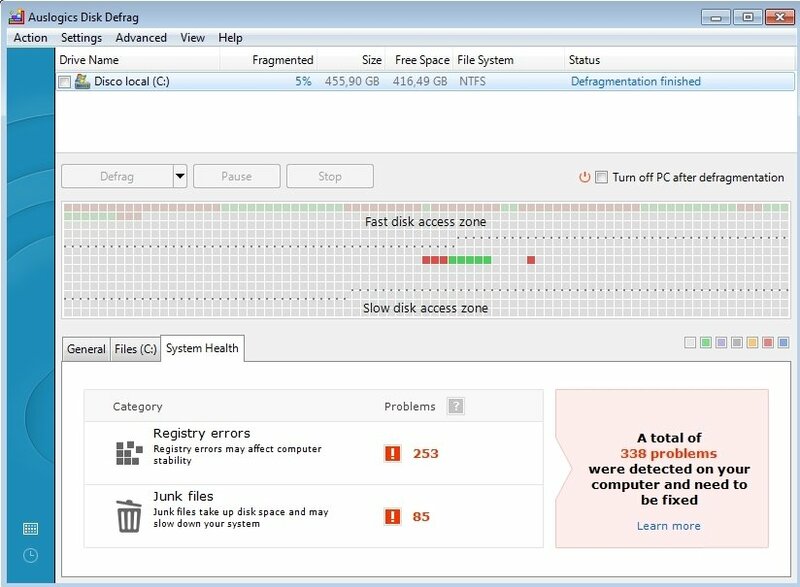 Use Auslogics Disk Defrag to avoid it. 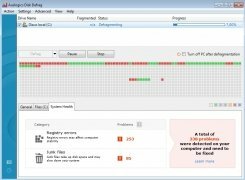 As a consequence of this lack of organization, the access to the hard drive, both for writing as well as reading, is slower each time, affecting our computer's performance. 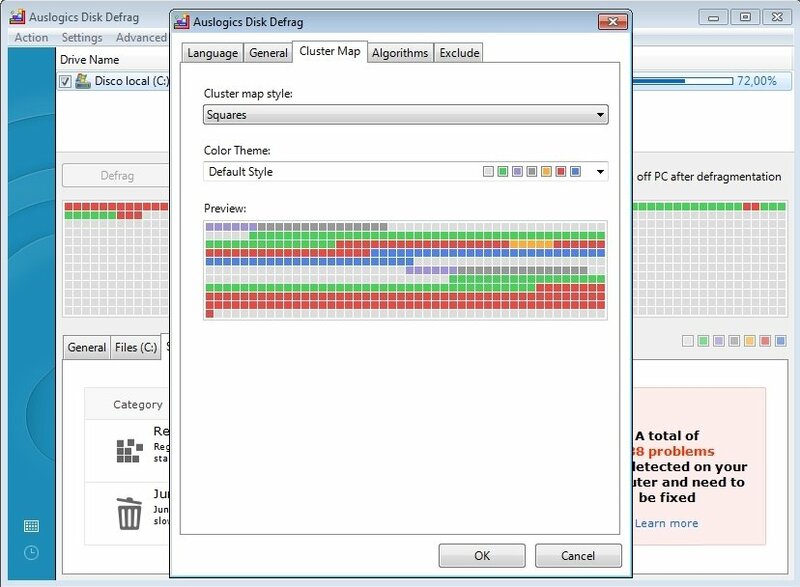 Auslogics Disk Defrag is a compact application that reorganizes the data of our hard drive, so that the writing and reading access are a lot quicker, optimizing our computer's performance. Reorganize all the information stored on our hard drive or only the folders indicated by the user. 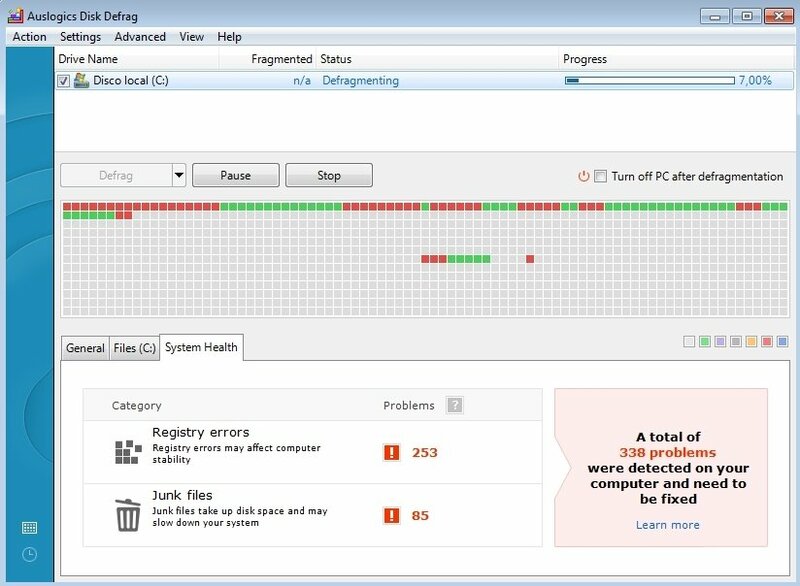 Support to perform preprogrammed drive defragmentation. Selection of the defragmentations priority. Exclude the folders and files indicated in the configuration options. Perfectly integrated with the Windows context menus. Possibility to move the system files to the quickest part of the hard drive to speed up the access to the most used files. Access to different graphic themes and styles. 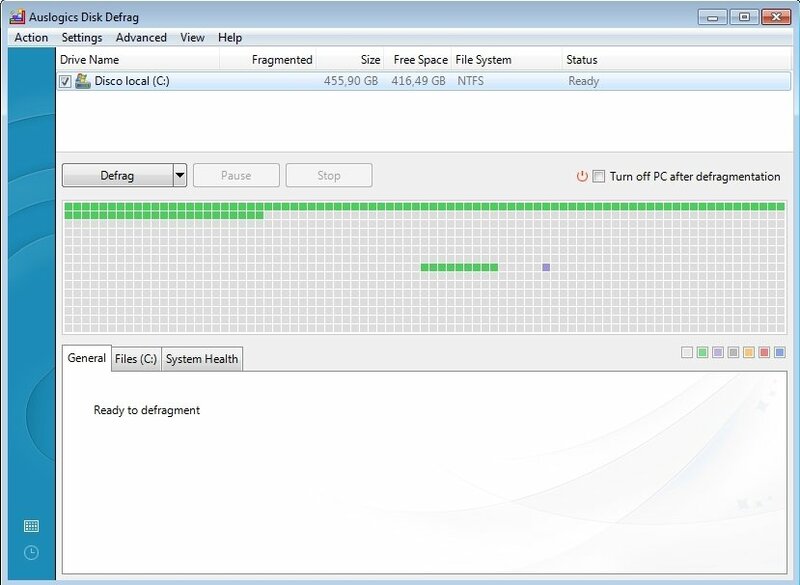 Compatibility with FAT16/32 and NTFS systems. 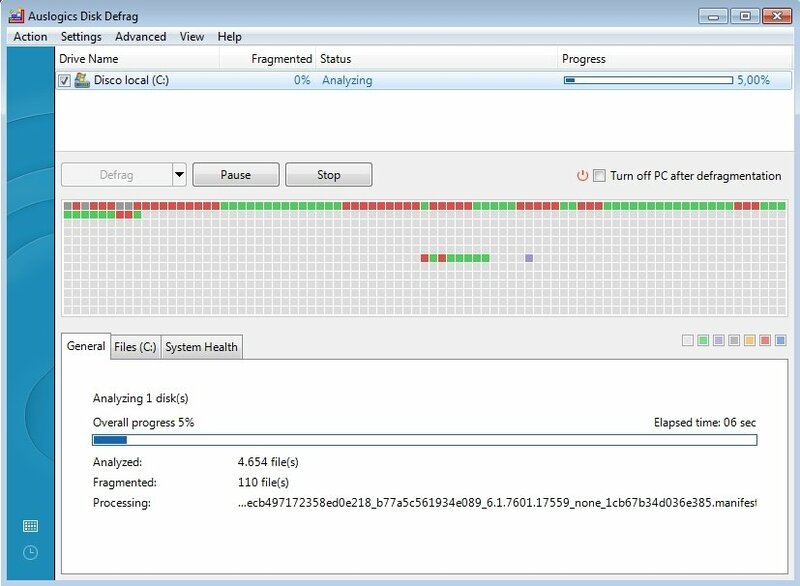 If you notice that your computer isn't as fast as it should be, try to defrag the hard drive with Auslogics Disk Defrag.